Today Ubisoft announced that it will launch Just Dance 2 - Extra songs exclusively for the Wii on July 22 this year! After the worldwide success of Just Dance, the franchise is back to get you up on the dance floor! This new game will feature 21 tracks, previously only available via download, plus two new exclusive tracks. 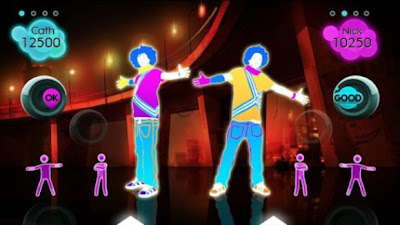 Just Dance fans will rediscover everything they loved about their favorite dancing game, with hits such as Rihanna’s Pon De Replay, Blur’s Songs 2, Firework by Katy Perry, You Can’t Hurry Love by the Supremes or Panic at the Disco’s Nine in the afternoon. This forthcoming package will also be playable without the need for Just Dance 1 or 2. See the list below for some of the tracks that are in the new game!